It's Monday and let's just say that it was a double cappuccino kinda morning. 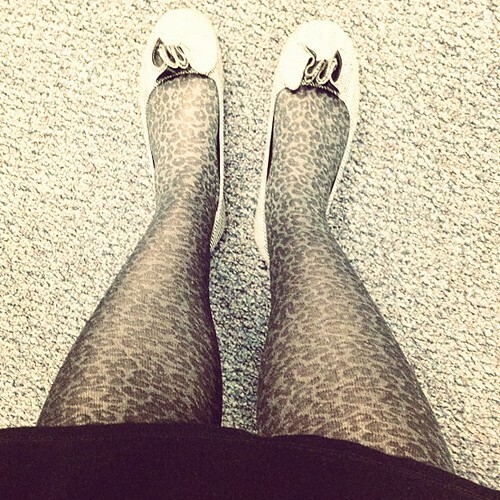 Mondays aren't my favorite days but these tights certainly helped me make it through. 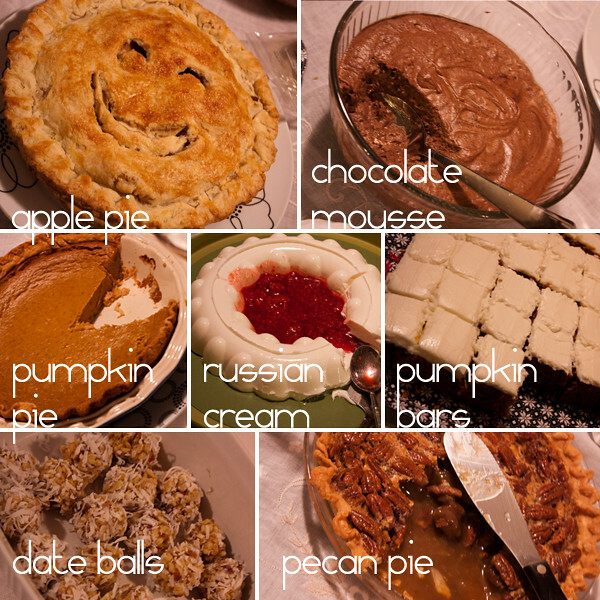 By popular demand, here's the desserts from our Thanksgiving Feast. The best part of the meal in my opinion! Our original goal was one per person, but in reality seven desserts filled us to the brim. Our food spread was incredible this year! 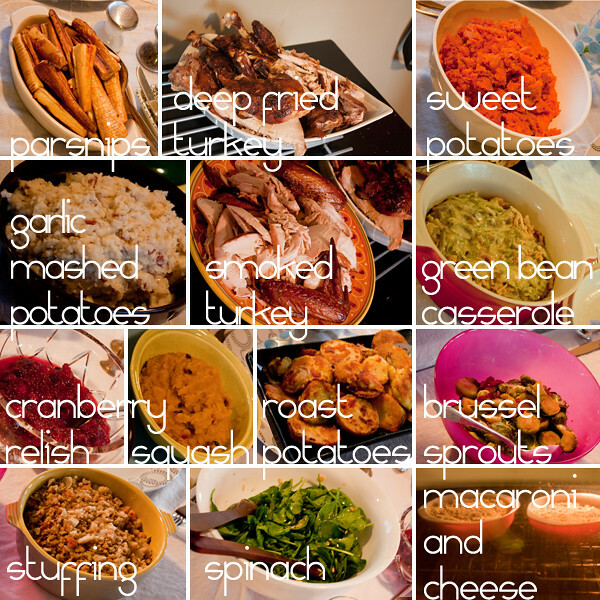 I couldn't believe all the different foods we had so I put together this collage to document the occasion. Two turkeys, lots of friends and tons of fun. It's been awhile since I wrote my weekly good stuff post and I'd really like to get back into the routine and what better way to start a routine than to just do it. Don't use black for shadows. Chris Coyier writes a good article about making shadows a darker tone of the item they fall on. For example, if a person's shadow falls across concrete don't just automatically made that shadow black but rather make it a darker tone of the concrete. While Chris' example is written for web design, it really falls across all design, painting and illustration. Here's 40 trendy business card designs... always good for inspiration. Invoicing is a necessary evil of being a freelance designer. Here's 15 good tips to make sure you keep on top of your billings. Stop scribbling your invoice notes on little pieces of paper that end up on the floor of your office and organize yourself with some software. It will save you time and earn you more money in the long run because you'll look more professional. And if invoicing doesn't prove to you that being a freelance designer is a tough career choice then maybe you should read this article about whether or not freelancing is for you. If you'd rather stay in bed all day or don't necessarily like people then don't quit your day job. This last item, via Frau Lipstick, is for the knitter and designer in me. It's a hilarious video produced by a sweater mill in Scotland that makes "700 billion cardigans a day." Watch it even if you're not a knitter, you'll still love it. I love the internet and the internet loves me. I read all sorts of things and these are my favorite finds from this week. This week's selection of the internet is video only. And first I start with this amazing man, Stephen Wiltshire, an autistic savant who loves to draw. Next we move on to this hilarious wedding video, it starts slow but it's worth the wait. And I'd also like to say that this guy can move! And finally, this video is of my nephews and their friends doing basketball trick shots. I could watch it all day, it makes me laugh and smile. But the funniest part is that I can peruse my sister's pantry as if I were there looking for a snack.